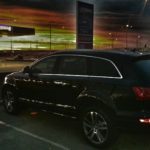 Melbourne’s leading chauffeur driven car services (VHA) providing five star chauffeured services throughout Melbourne. No matter the destination, we have you covered. We are here to provide you with secure, reliable, luxurious and comfortable transportation without the headaches. When you hire us, you can rely on us exceeding your expectations. Our professional and highly experienced chauffeurs are reliable, always on time with safety as their top priority. Our vehicles are guaranteed to be clean, comfortable and above all regularly serviced and safe. Our head office is located in Melbourne and operates 24 hours a day, 7 days a week. Why use taxi cabs or valet parking when you can travel to any destination in Melbourne in complete comfort and luxury. 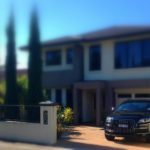 Book with us and you know you’ll be getting the best Chauffeur Cars Melbourne can provide.